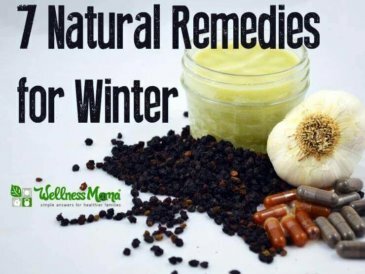 Each year about this time, I start preparing for the Winter months by making tinctures and elderberry syrup (you can freeze ahead) and other remedies to have on hand in case anyone gets sick. I keep all of these remedies in my natural medicine cabinet so that everything is organized and ready to use. I was the one to get sick this time. When my husband or children are sick, I get out the remedies and administer them on a schedule until they get better. When I wasn’t feeling well, I didn’t have the energy to get all the remedies myself and I was too tired/sick/brain foggy to be able to explain it all to my husband. To my husband’s credit, he figured out where to find the remedies and did pretty good with giving them to me on a schedule. 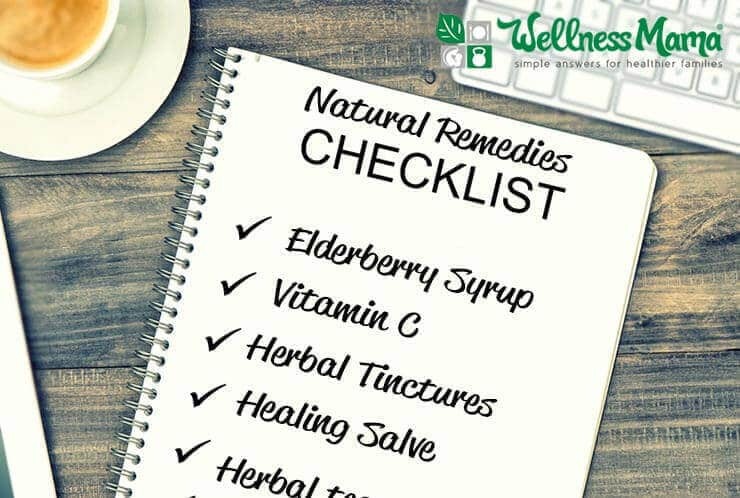 With those and lots of herbal tea and bone broth, I recovered quickly, so my first priority was creating a checklist that he (or anyone) could use if I was ever sick or not at home when a child was sick and needed natural remedies. If you are the one responsible for providing care when someone in your family gets sick, I’d recommend making a checklist like this for your home so that if you are the one to get sick, you can get the benefit of all the remedies you give to your family. To make mine, I started by making a list of all of the remedies I had on hand and their purpose, dosage and location. I made this into a checklist spreadsheet of sorts for easy reference. 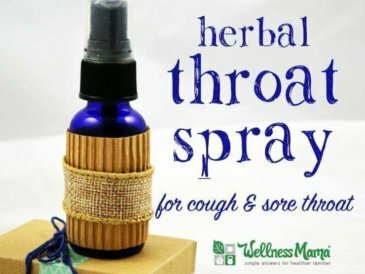 Not only did this make it more convenient for me to use these remedies, it was something I could easily hand off to my husband if I got sick. When my husband and I were out of town for a conference and our kids were with grandparents, this checklist was helpful for them as well. One of the children had a stomach ache as a reaction to food, and the checklist made it easy for grandparents to find and administer remedies. 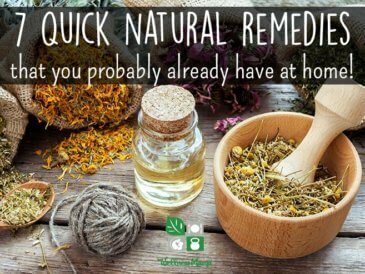 Click here to print my checklist of remedies and dosage. Apple Cider Vinegar: Up to 1 teaspoon in a glass of water every few hours during illness. If respiratory: Cough syrup as needed. Make a face steam by boiling 1 inch of water in a large pot. Add 1 tablespoon each of rosemary, basil, oregano and thyme. Cover head with towel and breathe in steam to loosen congestion or calm a cough. Diffuse Lavender and Eucalyptus as needed. 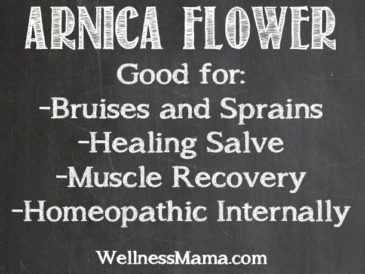 If digestive: Use digestive tincture as needed (up to 30 drops) for relief of nausea, stomach pain or other digestive problems. Diffuse peppermint (for adults and older kids) as needed. Give activated charcoal in capsules or mixed into water as needed. Magnesium Bath: Warm/hot bath for body aches, fever and relaxation. Add 1 cup magnesium flakes or epsom salts to bath and soak as long as desired. Hot Pack: Use hot rice pack to help with chills, aches or other problems as needed. What natural remedies do you keep on hand for cold and flu season?